We've been living in Prague for two months now. 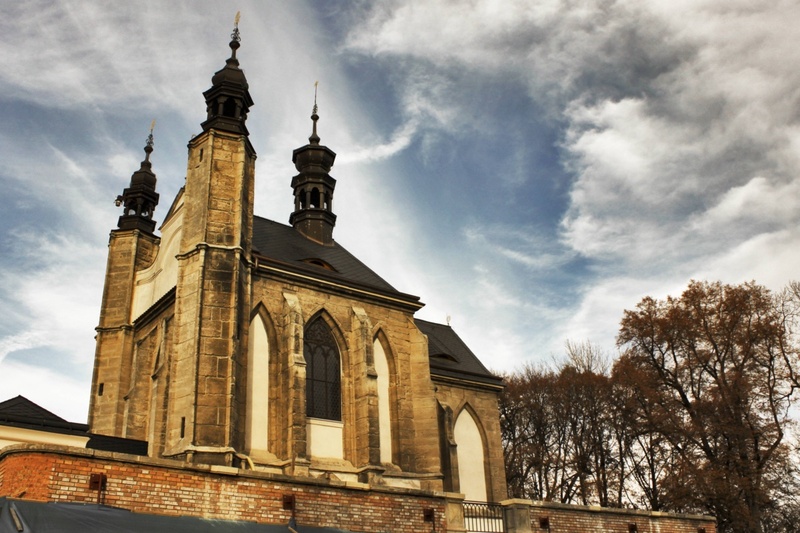 While we've done some mild exploration of our residential city; what I find even more exciting is to visit surrounding towns in the Czech Republic. Prague is built for international tourism, it's very much shaped in to an international city; but I figured the rest of the country would be a little less touched. 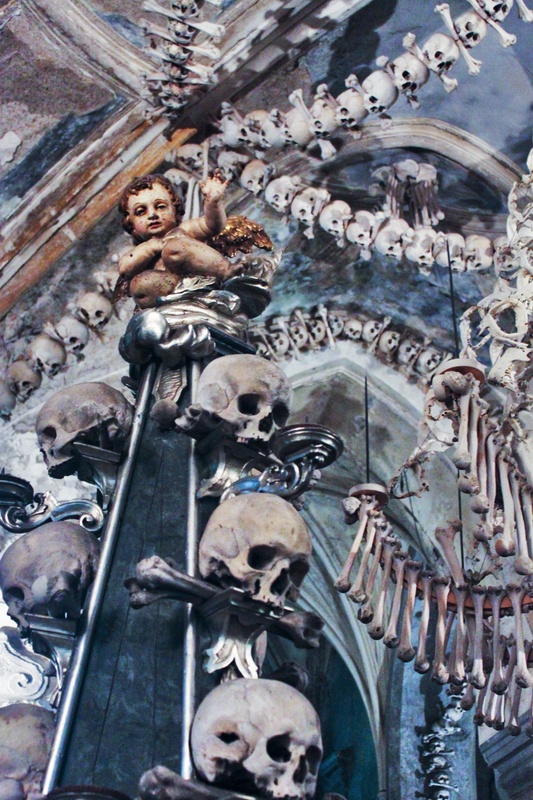 The place I was most excited to see--and admittedly, not the furthest from the tourism spectrum--was Kutná Hora. I learned about this small town through a postcard I received years ago. 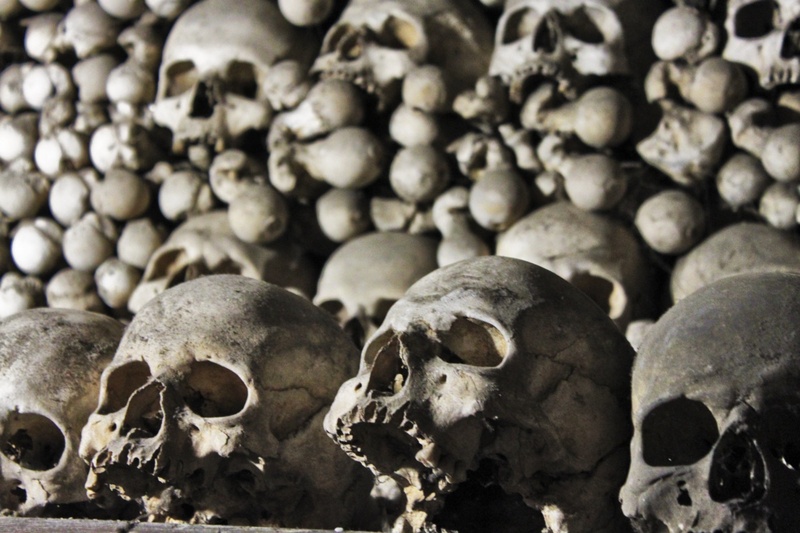 I'd never heard of such a thing as an ossuary; and thought that "catacomb" was the one and only word for a non-criminal room full of human remains. But once I saw some photos, I thought the idea was morbidly fantastic. 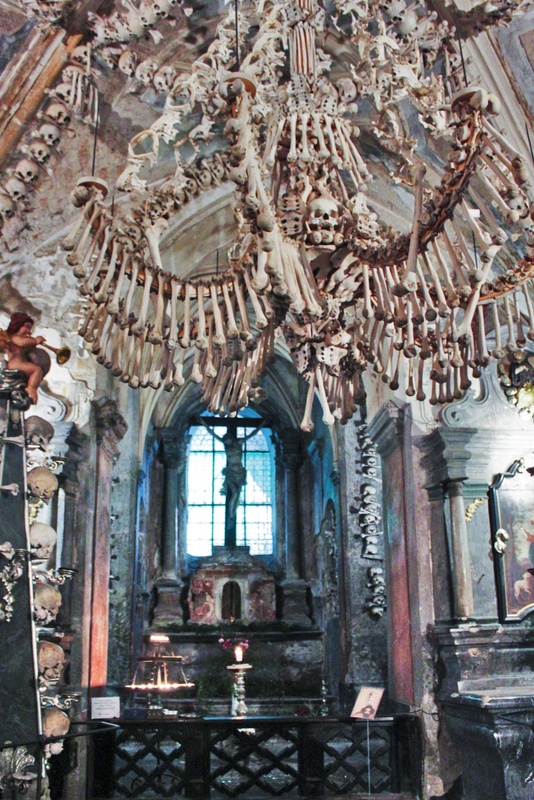 I am incredibly interested in the rituals and traditions of death around the world. Cemeteries are by far my favourite thing to visit. 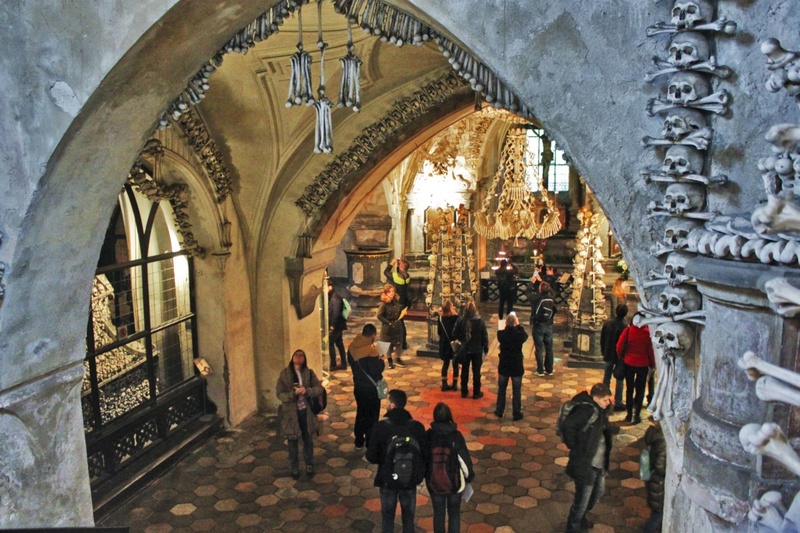 The Sedlec Ossuary in the environs of Kutná Hora is an hour's direct train ride from Prague. 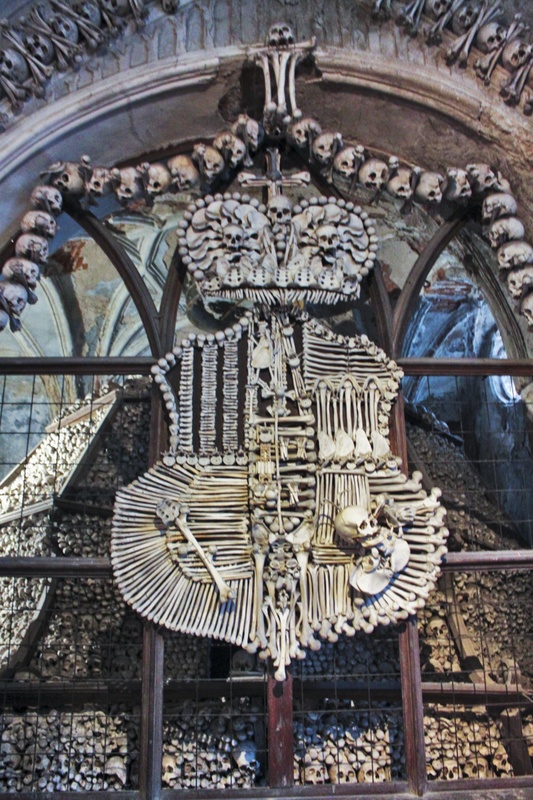 It's one of the stops on the way to Brno (which also has an ossuary that I will be visiting in the future); and a new train leaves every hour. 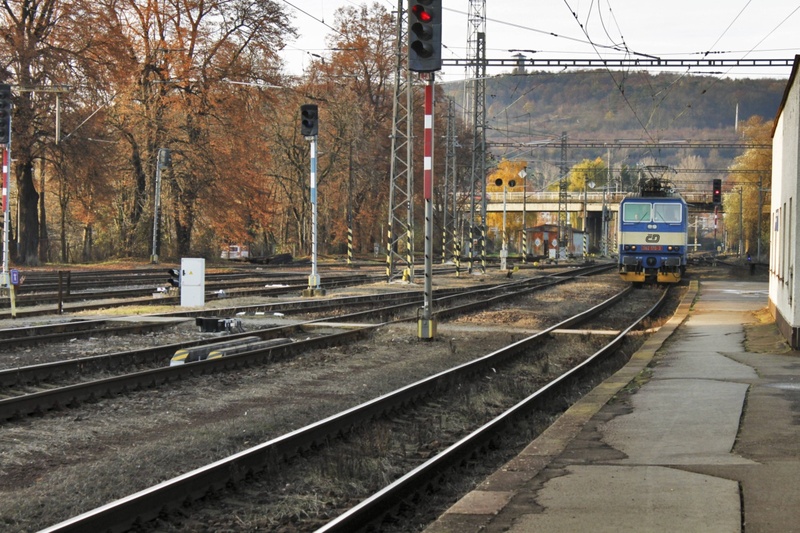 This was my first time on a domestic Czech train (CD as it's called here), and I quickly learned we should have made seat reservations as it was crowded to the brim. 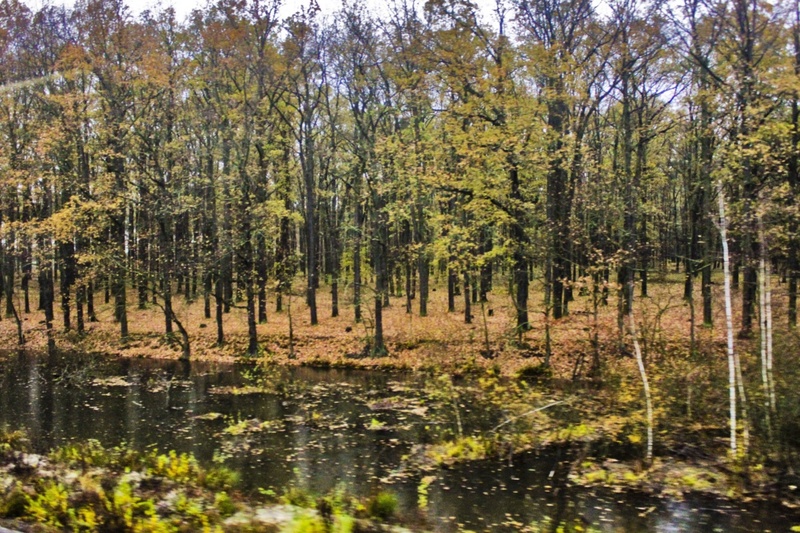 We weren't given the luxury of seats on the way there, but we hung out near the toilet where the big windows paint the landscape as we ride by. Sounds dirty and romantic all at once, I know. 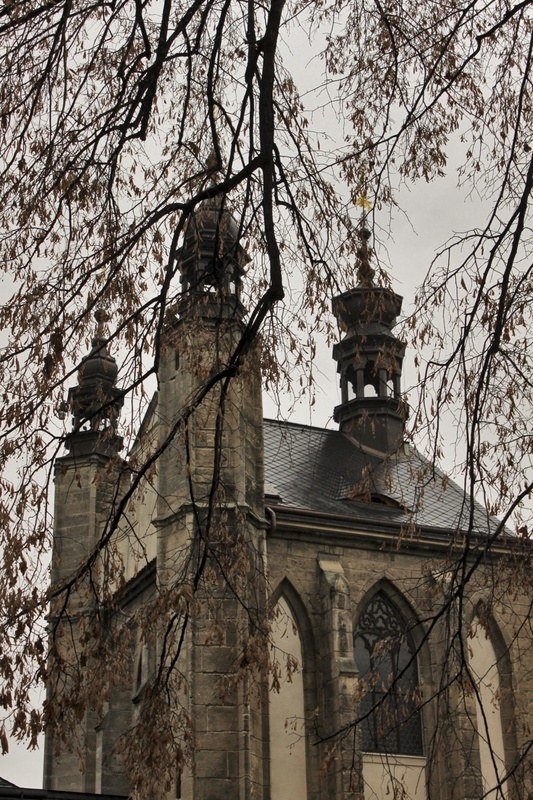 Though it is entirely possible to switch trains and go from Kutná Hora hl.n to the more central station of Kutná Hora M?sto, since the entire town is only about 4km in length and the ossuary is closest to the hl.n. 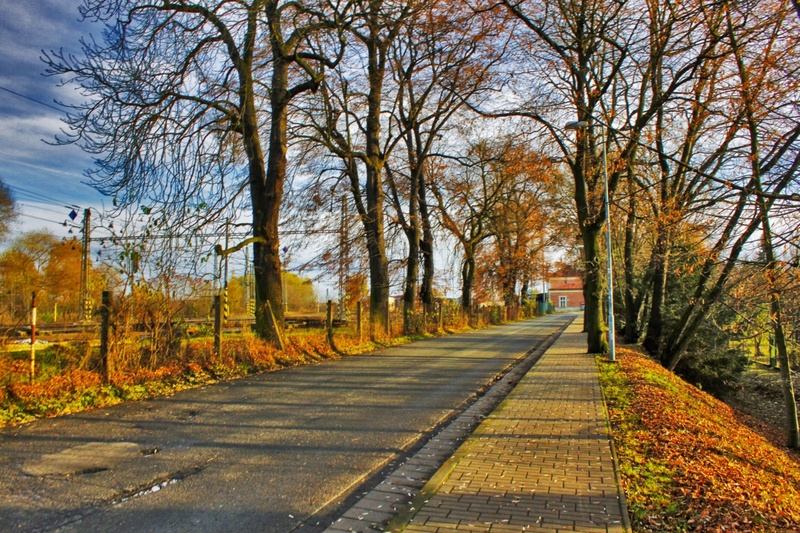 station, we decided to take a lovely autumn walk. 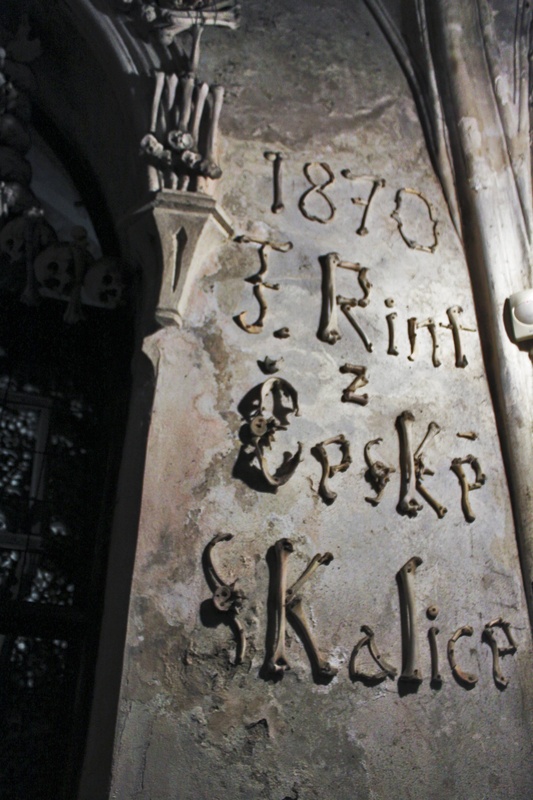 There are signs at nearly every corner that will direct you towards "Kostenice," which is the name for the famed bone church, and as you round the 4th or 5th corner, you'll just hit it in all of its glory. 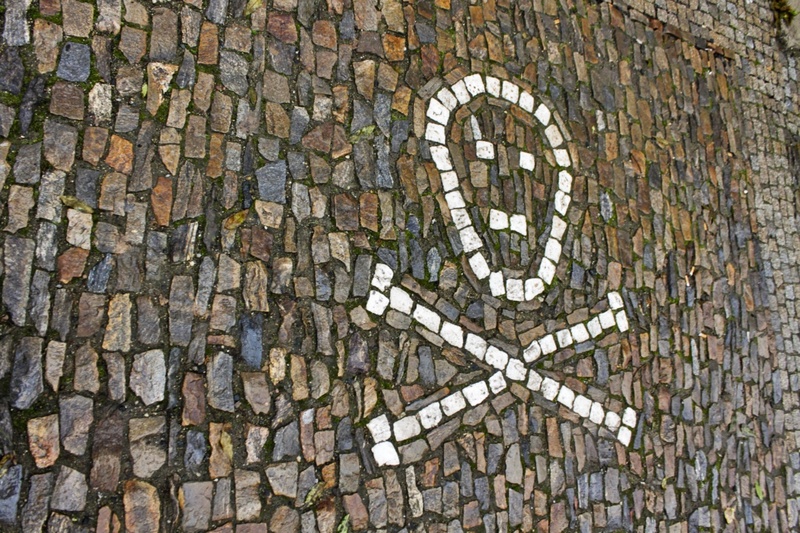 Easily recognised by the skull and crossbones adornments above the spires and, just in case you weren't made certain by that, the skull and crossbones mosaic on the pavement before the gate. 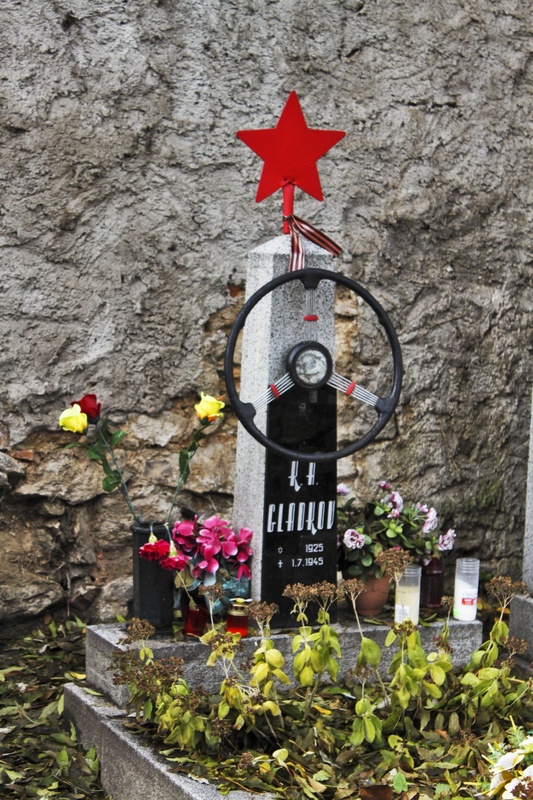 Outside is a fairly normal cemetery (but with a few fun graves, like that of KA Gladkov); and allegedly it's still a sought-after place to be buried. Seeing as it's such a small plot, however, you quickly understand why there was a need for the ossuary in the first place. The oh-so infamous Black Death of the 14th century, coupled with the Hussite wars led to a massive amount of deaths in a short period of time. 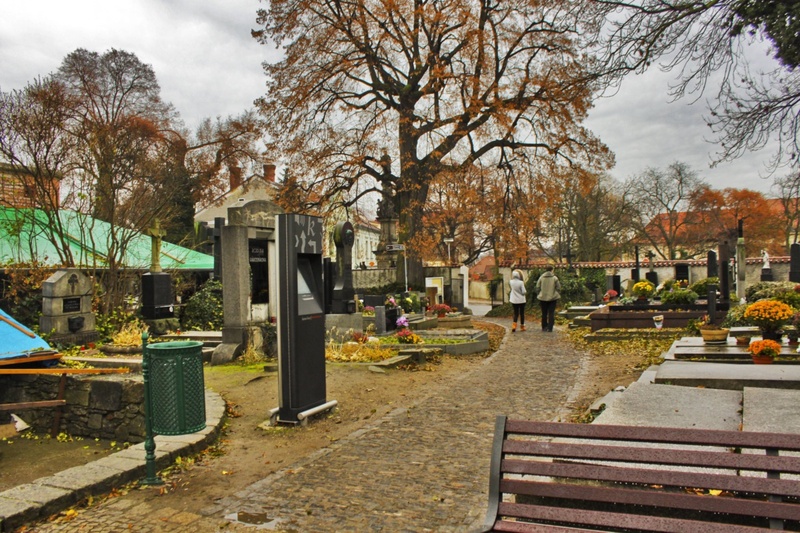 Kutná Hora was the representative for a large portion of Bohemia at the time, and since the cemetery on the ground was considered somewhat sacred since the abbot of the monastery had scattered the soil of Gogotha amongst the burial land; the bodies of the dead were buried in heaps outside this little church. Quickly, however, they ran out of room for new burials and foresaw that there was no future for that cemetery because it was packed. So, a half-blind (this is a very important detail I suppose as it's credited on every source including those inside the ossuary) monk was given the task to dig up the bodies and place them inside the small church. Thus leaving an estimated 40-70 thousand bodies stacked and crammed inside. In 1870, the Schwarzberg family (aristocrats of the time), hired a man by the name of František Rint to "organise the bodies." Rint was a carpenter and a wood carver; and he had a bit of an artistic flair in his bones (ha), so instead of making neat piles or organising in stacks, he went interior-design major on everyone and created the glorious sight that we can still see today. He even took up an entire wall to create his signature out of human pieces. Among the most awe-inspiring sights are the chandelier and the Schwartzberg family crest. Both, of course, created by nailing together the dead. Now, what I'm interested in--and can't seem to find any information on--is how this gruesome art was taken during the unveiling. Maybe it's because I'm only European by heritage and not by birth, but it seems like something that would be taken as a form of disrespect by some. I know that now there are people who are grossly offended by the entire premise. 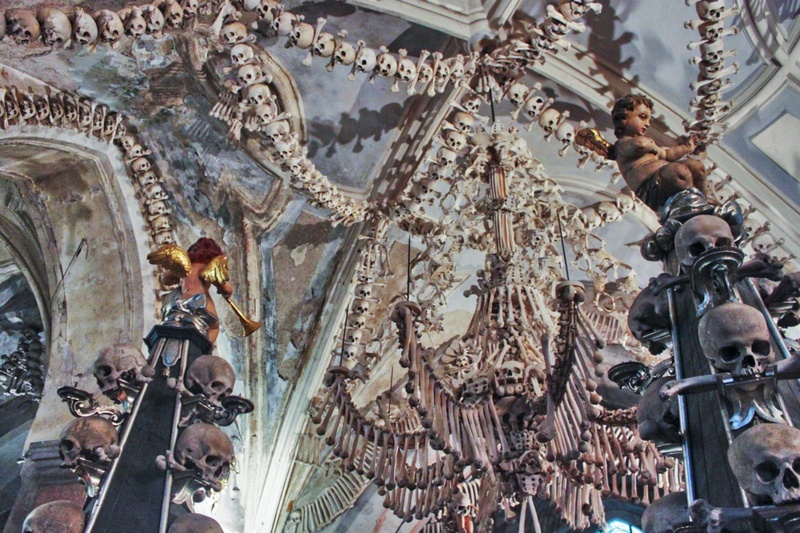 Just read any website that allows people to review places they've been and you'll find a decent percentage of people who are simply made sick by the idea of a room full of disembodied skeletons nails to each other to add to the decór. Here is what you will see as you walk in. If you're unlucky enough to be there at the same time as a tour group (and in the tourist season), you will have a much harder time as it is uniquely small. 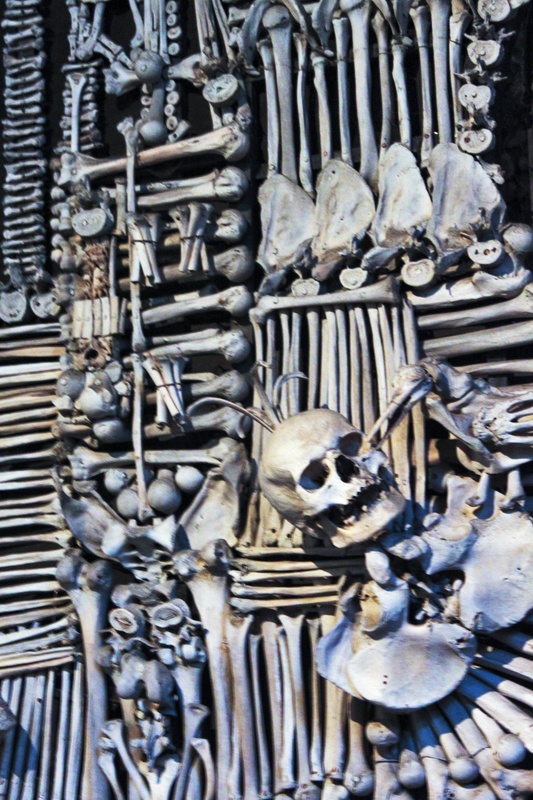 Skulls and femurs piled in to pyramids. 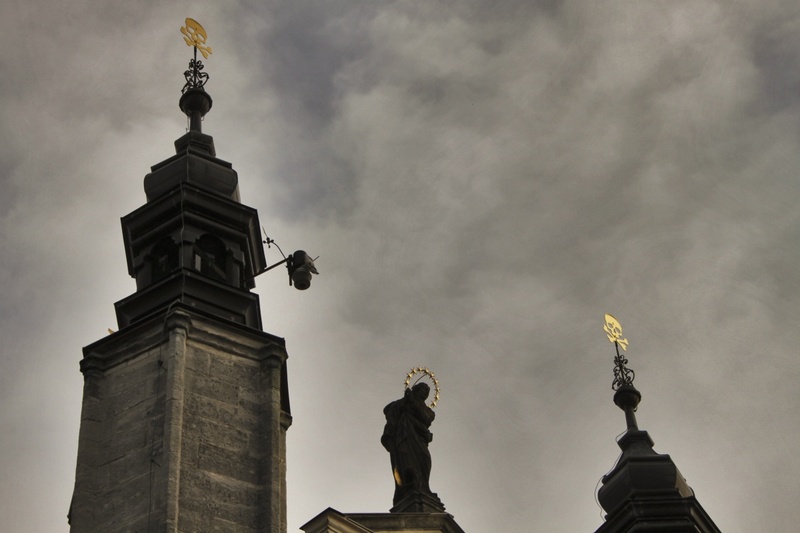 Candle-holding spires adorned with skulls and cherubs. One thing that we missed the first time around, but found the next day was the upper chapel which is around the corner from the entrance and up some stairs. It is hugely modest by comparison and houses only a few chairs and a statue of Jesus on the cross. 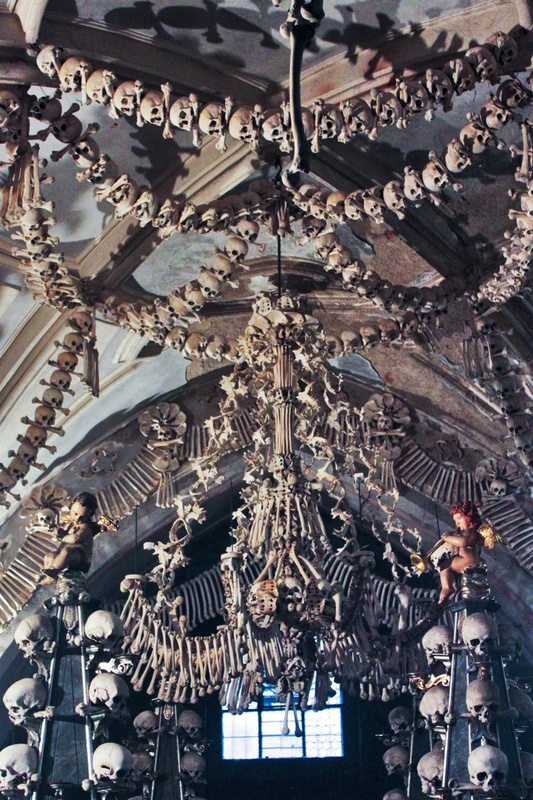 The Sedlec ossuary was completely as stunning as I expected it to be. There's so much mortality in such a small space and the mood is very strong. As well as the smell. Being in close proximity to a tobacco factory and being literally filled with bones, it smells very much like a hunter's basement. 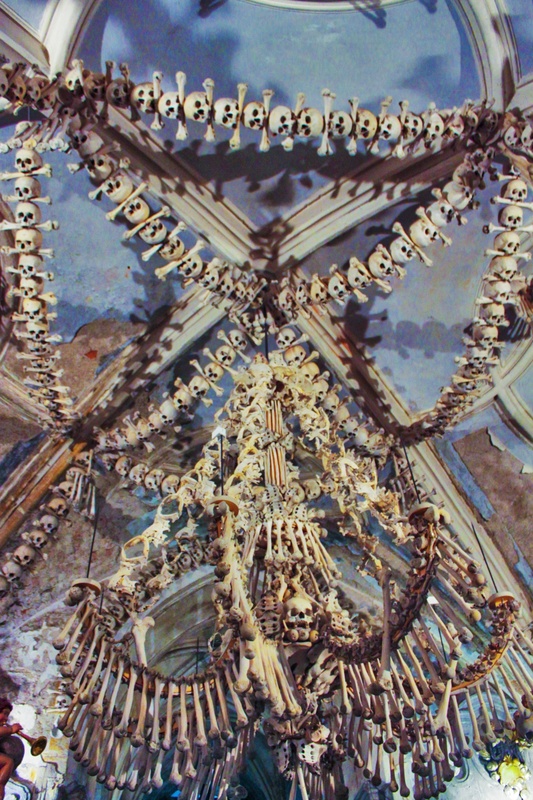 No, of course there is not the scent of decay as these are no longer flesh, but the chalky scent of bones was noticeable through the frigid church. 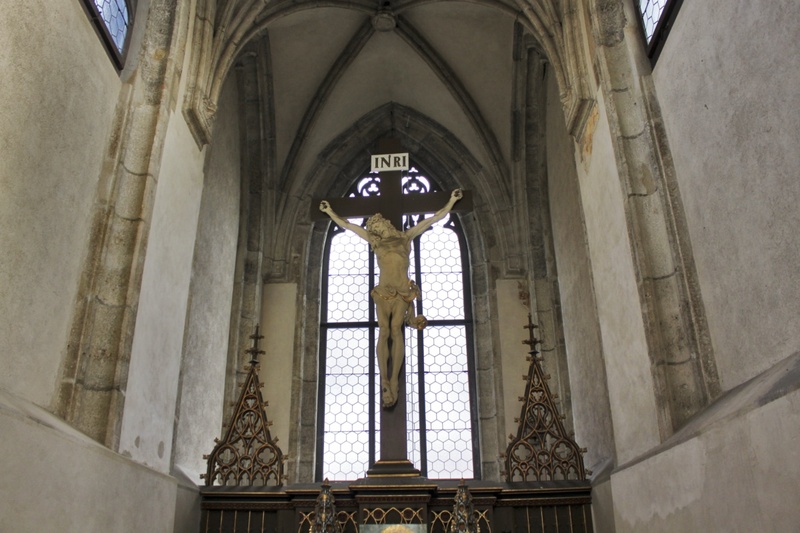 I could see my breath inside there as well during this cold November visit as I stood by the candles and looked up at Jesus on the cross wondering how religious western folks justify this sacred site to themselves. It is, after all, indeed a catholic establishment. This is a place of religion, and I've heard stories of people being denied entry because they didn't seem "holy" enough. I'm still not sure how I feel about the way the dead in this instance were treated. To separate each body in to pieces to me seems rather unkind as it leaves one to wonder which skull belongs to which femur, hip bone, clavical... But there is definitely a oneness represented in that simple fact. Though I cannot find any further information, I feel that the reason for the dismemberment isn't due to lack or respect but more due to the sheer number of bodies placed inside (by the half-blind monk) and perhaps there was no discernible way to distinguish them once they were placed inside. After all, 70,000 people is a lot to keep track of. Personally, I wouldn't mind being a part of something like that postmortem. To be an eternal brushstroke in a work of art seems kind of fantastic to me, really.